Q. Why take Sacramento piano lessons? A. Learning the fundamentals of piano is learning the fundamentals of ALL music. No other instrument offers such a broad base for understanding theory, technique, and music styles. Studying piano is also a wonderful launch point for later exploration of other instruments and vocal performance. Most important, it is one of life’s most enjoyable “therapies.” It feels good to play piano! Q. What is the best age to start piano instruction? A. Each age group, from pre-school to seniors, brings advantages to the study of music. Natomas Music Square has wonderful group programs for infants, toddlers and pre-schoolers. My experience as a piano instructor has taught me that a piano student is ready for one-on-one lessons when they are able to focus on one thing for 20-30 minutes. Each person is unique and parents usually know best when a child is ready for that type of focus and commitment. That said, it is never too late to study piano. I’ve taught every age from 4 to 86, and these students’ success and enjoyment is ALWAYS determined by interest and commitment, no matter what age. And EVERY AGE benefits from the mental exercise and enjoyment of learning music! Q. My child is already so busy with homework, extracurricular activities and family obligations. Why should I add one more thing to her schedule? A. 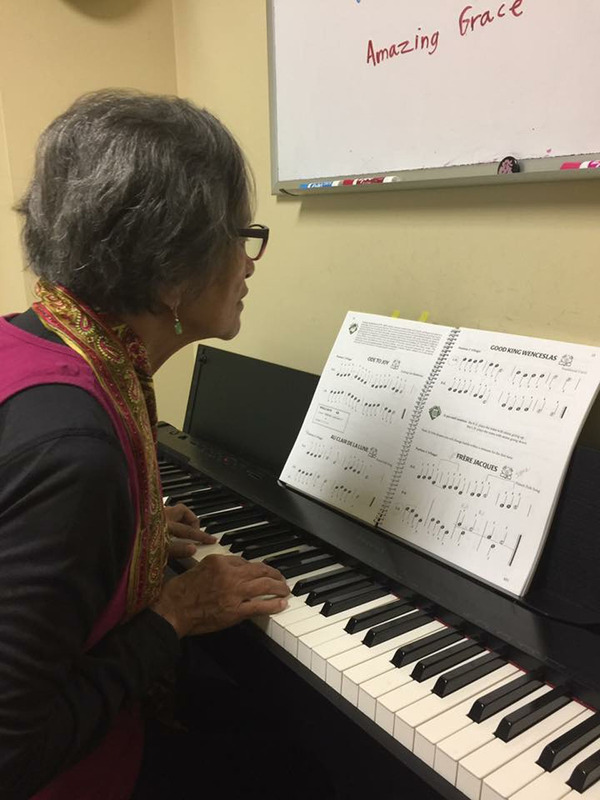 Children and adults are definitely busy these days, and taking Sacramento piano lessons is certainly a time commitment. But when you look closely at the time involved, and the lasting value of that time spent, piano study takes considerably less time than many other activities: One lesson a week for 20-30 minutes and 15-30 minutes of home practice every day (ideally) or several times a week (realistically). You can squeeze practice time in almost anytime – before school, right after school, before dinner, before bed. And you don’t have to get in a car to take your child to practice! Once learned, piano is an ability that your child, and others around him or her, will enjoy for a lifetime. Q. Is piano difficult to learn? A. Learning to play piano is like learning anything new: strange and unfamiliar at first; familiar and comfortable after a short while. Notice that I didn’t say “easy.” The study of piano is always challenging and stimulating, which is why there is such a strong sense of accomplishment and success as each level is mastered. The best experiences in life are always those that have a personal investment of heart, body and mind. Piano study is one of those experiences that develop self-esteem, confidence, sociability, community, self-direction, general academic prowess, and love of the arts. The hardest part is developing a steady routine and environment in which your student can learn. “Master” a consistent, regular practice time, and everyone will be happy! Q. I’ve heard pianos are expensive. Is it okay for a beginner to start with an inexpensive keyboard for their Sacramento piano lessons? A. Yes, definitely. There are many reasonably priced electric keyboards available at department stores like Target or Walmart, or available on-line. There are also many “like-new” used keyboards and pianos for sale on Craigslist or similar sites. My one suggestion is that you find a keyboard with at least 4 octaves (28 keys). Beginning piano students progress very quickly to using most of the keyboard, so it doesn’t make sense to purchase a smaller keyboard. The ideal, whether digital, electronic or acoustic, is 88 keys, the standard full-sized piano. But in the beginning, that is not necessary, especially if you need time to decide your child’s (or your) interest level.